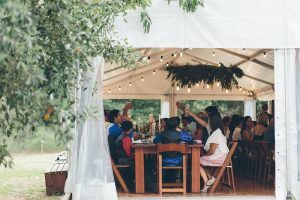 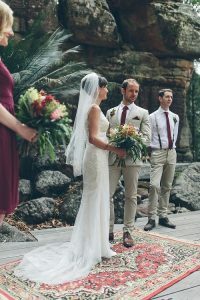 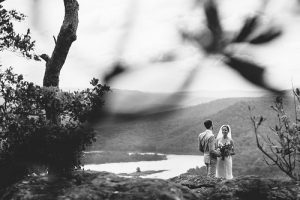 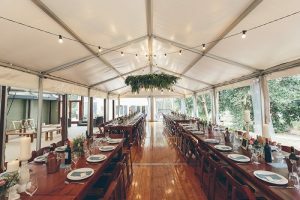 Audrey and David had guests join them from all over the globe as they were married beneath the dramatic rock walls of The Kangaroo Valley Bush Retreat. 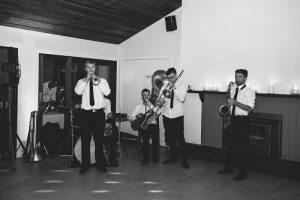 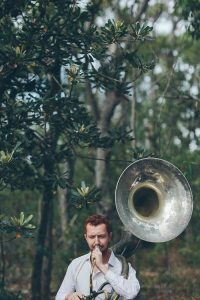 One of the memorable moments from our end was the awesome big brass band that entertained guests during canapes on the sunset deck and during dinner. 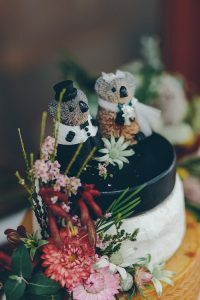 They had a fabulous cheese wheel cake in lieu of a traditional wedding cake. 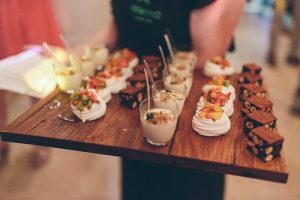 Guests feasted on a banquet, dessert canapes and danced the night away. 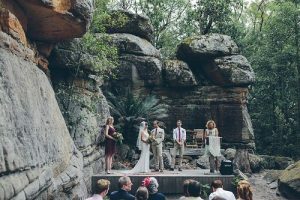 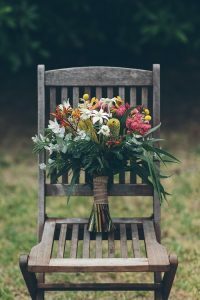 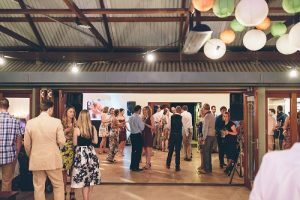 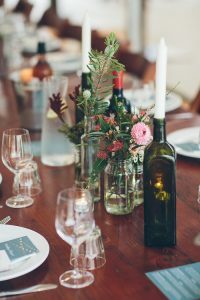 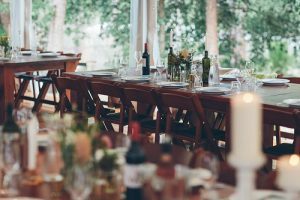 We always love a bush retreat wedding as 11pm doesn’t mean the celebrations have to stop. 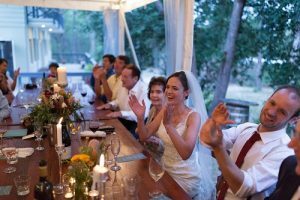 You can join your guests for a night cap around their huge bonfire space. 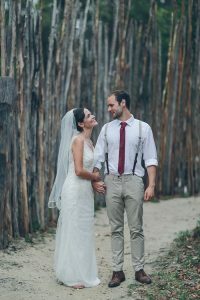 All the heart eye emoji’s for this lovely, warm and wonderful couple.